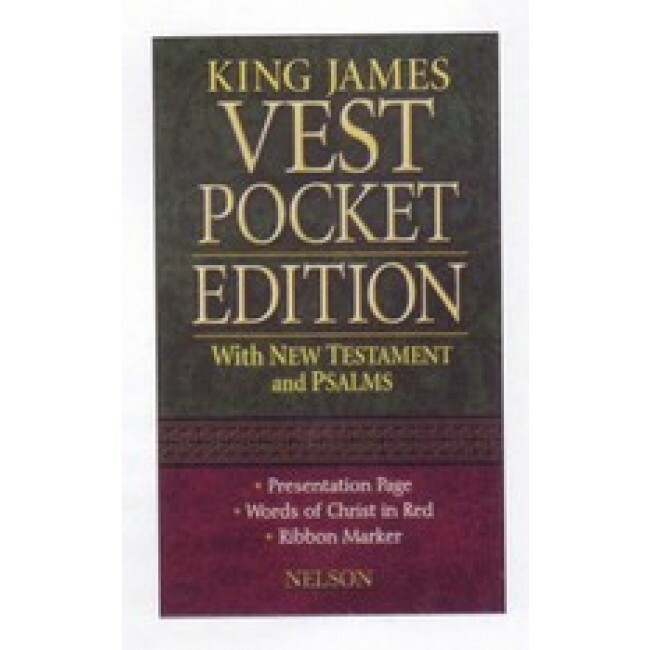 This classic King James New Testament with Psalms is a favorite choice for briefcase, purse, or pocket. 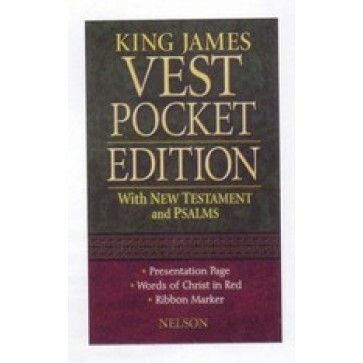 Presentation page, words of Jesus in red, ribbon marker, gift box, gift card. Black leatherflex.